Standing firm against unreasonable demands…. Each time I read about hot education issues in the papers, iToday or even a FB post, I feel the need to blog. Tuition – should we engage tutors or not? Tuition centres overcharge. Tuition teachers are not qualified. They are out to make a fast buck. A boy get his hair cut by a school teacher. His mum files a police report. And in the midst of exploring some of these education issues, there were many calls by anxious parents to ask me to consider setting up a tuition centre, one that can help fill the gaps of the current school system…. But is studying in a Singapore School so bad? Are we doomed? According to the document, “The MOE is strongly anchored on SEM values where the development of students is the priority, with the intent of recognizing a variety of school achievements in line with MOE’s commitment to deliver holistic education. 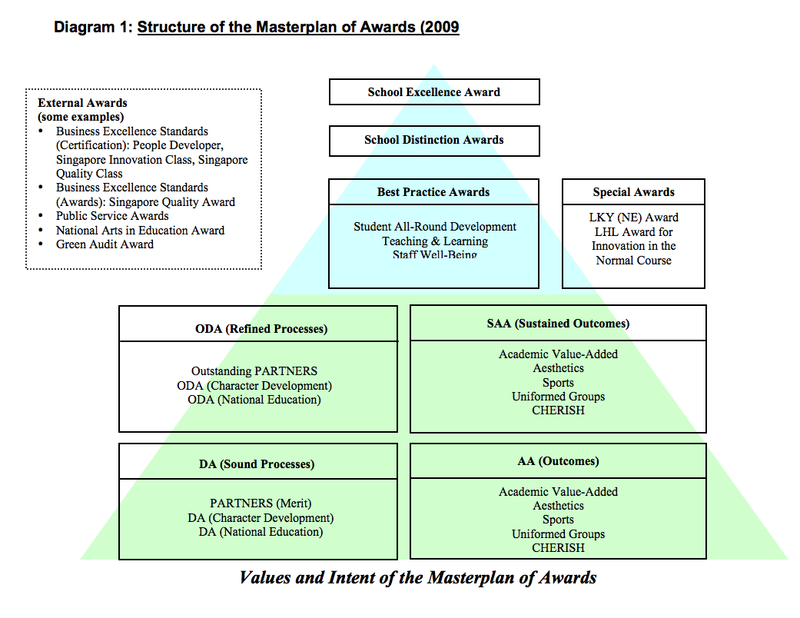 The MoA is a unique recognition structure that motivates schools in their pursuit of the Desired Outcomes of Education. First instituted in 1998, the MoA has undergone various changes in response to the changing needs of the education landscapre over the years. a) A new generation of iKids – This is a generation of kids who have grown up on instant gratification – instant noodles, instant growing (eg Farmville, you can grow things in a few clicks! ), instant success and a lack of respect for seniority. Instant everything – in this age of borderless classrooms, the students are exposed at a young tender age to a whole lot of information. Knowledge and facts become “cheap”. All kinds of information bombard the children of today. They get information from Facebook post, twitter, TED talks, wikipedia, youtube, podcast from well known universities or simply bloggers who recycle (re-post) news from one blog post to another. In fact, the era of Twitter, Facebook and even LinkedIn, seems to welcome and exonerate quick-off-the-cuff comments from its members. What is once privately shared with a circle of close friends, now can get re-twitted and re-post in a quick manner. And the post (while yet to be authenticated for accuracy and details), just spread and spread, like a malicious worm…gone viral! We need to teach the children of today to have wisdom and discernment. Wisdom seems an odd thing to teach the children as it is associated with an old man or woman. However, when knowledge comes knocking on the doors of these kids and they get bombarded by exposure to an overwhelming amount of facts, it pays that schools give great attention to teaching the children how to discern. Facts from fiction. Gossip from truth. Instant from a long term study of things. Teach them to ask: where is the source of this information? Is it reliable? What is its track record? b) Lack of respect for authority – There is an increasing dis-respect for seniority and authority. Children who have grown up with having a maid or helper to “assist” them in all kind of chores, can become very dependent adults if we are not careful. For instance, I know of one boy who was too lazy to even walk a mere 10 steps to turn on the fan and asked the maid to turn on the fan for him If this attitude and habit are condoned by his parents and those he looked up to, he will probably grow up thinking that as long as the service is “paid for”, he deserves all the help he “need” regardless of whether it is right or proper. While I am not against the idea of having some help for household chores, I feel very strongly that the values we teach children when we engage helpers in household chores have long lasting repercussions. If we treat these foreign help with less dignity than we treat our pets, we will reap what we sow in the next generation. “13 Everyone must submit to governing authorities. For all authority comes from God, and those in positions of authority have been placed there by God. 2 So anyone who rebels against authority is rebelling against what God has instituted, and they will be punished. 3 For the authorities do not strike fear in people who are doing right, but in those who are doing wrong. Would you like to live without fear of the authorities? Do what is right, and they will honor you. 4 The authorities are God’s servants, sent for your good. But if you are doing wrong, of course you should be afraid, for they have the power to punish you. They are God’s servants, sent for the very purpose of punishing those who do what is wrong. 5 So you must submit to them, not only to avoid punishment, but also to keep a clear conscience. Aung San Suu Kyi, remained under house arrest in Burma for almost 15 of the 21 years from 20 July 1989 until her most recent release on 13 November 2010, becoming one of the world’s most prominent political prisoners. c) Looking at the students as clients and aiming to “please” them – I feel this concept that students and parents are the “clients” have been oversold. While we want to provide the best for the children, educators have a moral obligation to do what is right for the charges under them. Every educator and teacher is bound to teach children values besides imparting knowledge in schools. This is the fundamental difference between teaching children and teaching adults. By casting the school as being service oriented, and projecting students and parents as the clients, the idea to please rather than to teach is subtly introduced. This leads to an erosion in respect for the education institution and for the teaching profession. d) Is the fit good for the child? – Excellence is a journey that is worth pursuing. But not every child is meant to be in an independent school, under the IP programme. Please…..as in any job, any career, if the fit is not good, the poor child is going to suffer. Adults who pander to the whims and fancies of their children will have to bear with the consequences as these same very cute children, can grow up to be totally dependent adults – waiting for their parents to bale them out of any trouble or problem. We have seen the problem of the “kangeroo” adults in Korea and other developed countries. Do we want to solve every problem that the child face today for them? Do not force fit your child.I did an earlier post that my niece did not make it to SOTA due to her PSLE score. She is now studying in Christ Church Secondary. She is very happy there and feels more confident. She has a good and supportive principal. She is around students who studies at her pace. So a good fit will blossom a child…not a perceived “good” school. e) Is there trust? – If your child is worth your time, do consider seriously to partner the school in this journey. A child is going to spend at least 12 years of his life in formal schooling. From P1 to JC2. This is where he gets the chunk of learning in terms of being a decent human being, learning to respect rules, authority and learning to live within a community. No school is perfect. Every school has their challenges. But if parents choose to trust schools instead of questioning at every turn and corner, the trust will be returned. Trust is something that needs to be built over time. There is no instant formula for trust. Schools and teachers in turn must learn to trust the parents as well. Not every negative feedback about the system is bad. Sometimes, and often times, we are so immersed in one system and one perspective that we are not able to see things from other angles. This is your call to committing to understanding the challenges your child faces. The challenges of the education in the 21st Century is an endeavour that requires time and committment. Earning the $$ to help fund your child’s tuition fees in schools and give him a good education is important. But more important, do take time to understand him as a person. He is only a child once and very soon he will grow up. Take time to understand the challenges he is facing today. Remember, a child that is much loved will feel secure. A secure child who receives guidance and discipline grows up to be a responsible adult. Next Post THE PSLE ISSUE – How about addressing the majority?